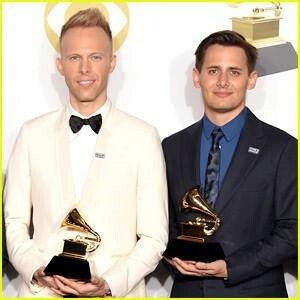 This entry was posted in Entertainment, People, Staples HS and tagged "The Greatest Showman", 2019 Grammy Awards, Benj Pasek, Justin Paul. Bookmark the permalink. Also- staples grad (1963) Barry Tashian and his wife, Holly, Staples grad also – their son, Daniel, produced and wrote( and played ) on the Kasey Chambers album of the year . Barry and Holly live in Nashville. They both still play together, and Barry plays in The Remains, who opened for the Beatles tour in 1966. Barry is also a songwriter, and was in Emmy Lou’s Hot band all through the 80s. Looks like you missed the first line in the second paragraph of this story — and the original one (there’s a link to that story in this one too). It was all explained this morning, Lucy!